Being so early in her career there's not a lot we can tell you right now other than we know she is 16 years-old and was born in Poole. She's the baby in a family with six other children and is currently studying English Literature, Drama and Psychology for her A levels and has plans to be a masseur unless she makes music her goal. Erin was actually discovered by accident (as many of the superstars are) while on work experience in her local recording studio in Dorset. For whatever reason (call it fate if you like) the studio session singer called in sick and Erin was asked to sing the vocal on a demo for ‘Can’t Do Right For Doing Wrong’, (written by Rod Clements of Lindisfarne and Nigel Stonier - Thea Gilmore) being sent to Norah Jones. Singer Eddie Grant heard Erin's version of the song and told the studio boss he had to release it and the rest is history. 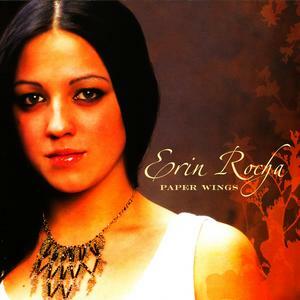 Now at last, Erin has released her first debut album, 'Paper Wings' which is sure to be a big hit as the single 'Can't Do Right For Doing Wrong. Keep an eye on this space and we'll try to keep you up to date as much as possible. How Can I Tell You Now?